We all enjoy a little bit of indulgence and a treat or two over Christmas and there is nothing quite as indulgent as our luxury award-winning hand-prepared divine desserts. From Roulades (serves 6), to gluten-free Cheesecakes (serves 4), to a vegan, gluten-free Chocolate Torte (serves 4), we have ensured there is something for everyone. All taste excessively indulgent; they just need to be defrosted and are perfect for the festive period. What better way to showcase one of our tantalising desserts than on one of these stunning Boltze Glass Cake Stands? Made from high quality glass, they are perfectly sized at 18cms to display our Cheesecakes and Tortes. Who could possibly resist taking a slice? To be in with a chance of WINNING this marvellous Boltze High Quality, Glass Cake Stand (pictured above), all you need to do is DOWNLOAD our Christmas Recipe Book from our website and SIGN UP to receive our field fare bi-monthly newsletter. 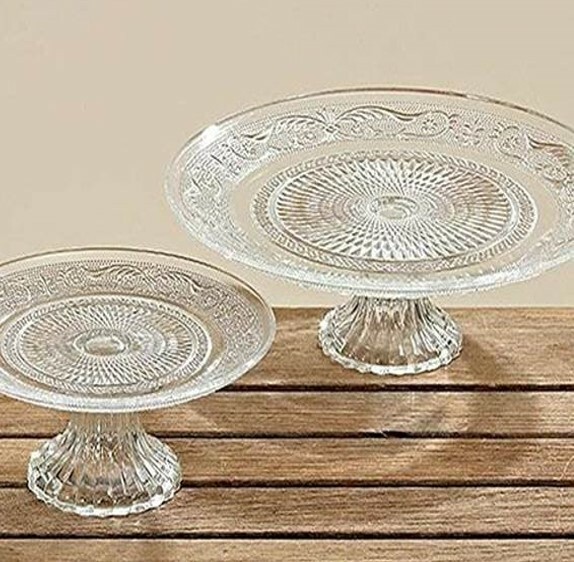 ONE lucky WINNER will be selected at random from everyone who has signed up to the newsletter and they will WIN this Boltze Glass Cake Stand. The closing date for the competition is 12th December 2018. The winner will be notified after this date.